Let the customer know exactly who they should get in touch with! 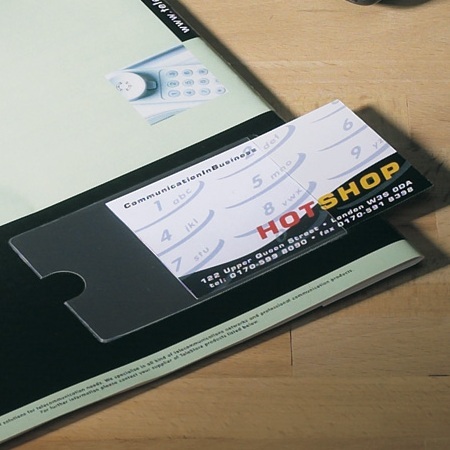 Easy to attach to any kind of presentation material and a convenient way of filing business cards for future reference. 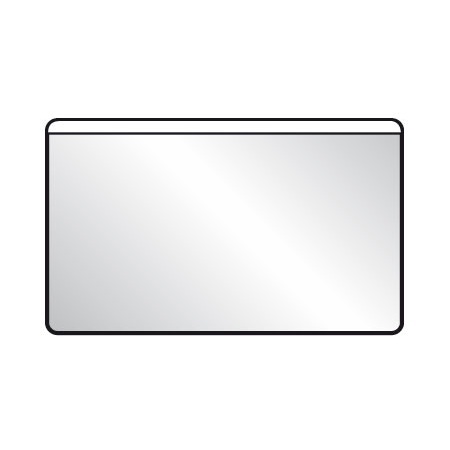 Can be mounted either vertically or horizontally. 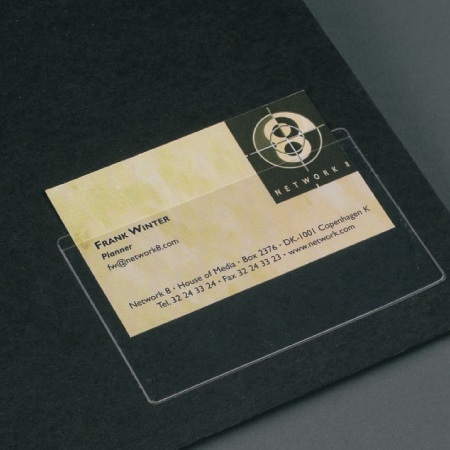 Self-adhesive clear business card pockets open short side. 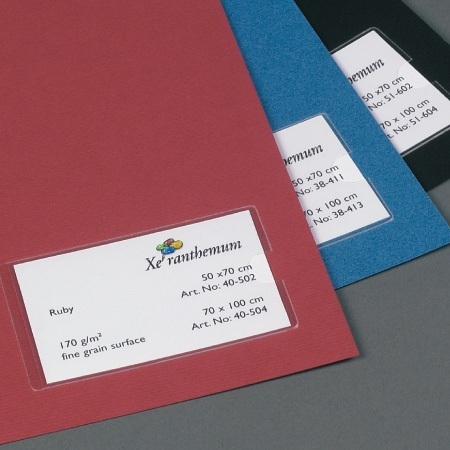 Suitable for most standard business card formats. 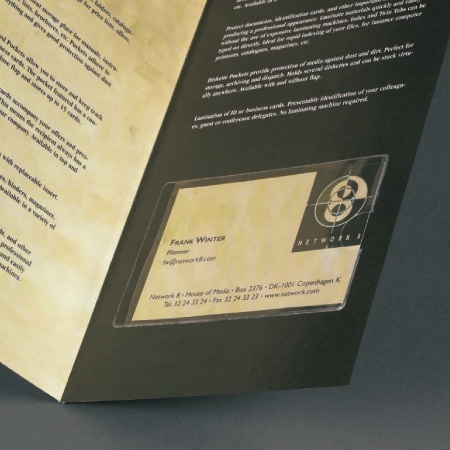 The simple and professional way of attaching business cards to company material or correspondence to be sent to clients. 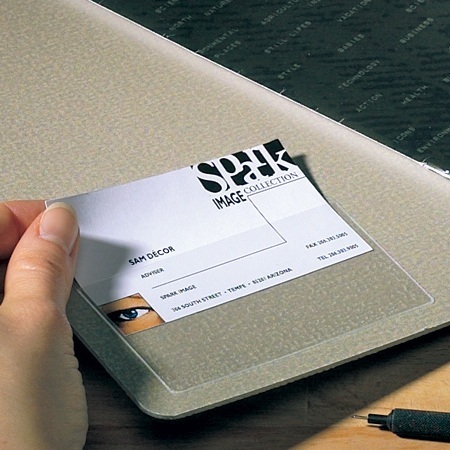 Made to standard business card formats, the side opening and finger hole make for easy card insertion and removal. 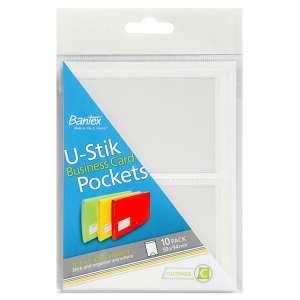 Economical Bulk Pack of 100 pockets. Self-adhesive clear business card pockets open long side. 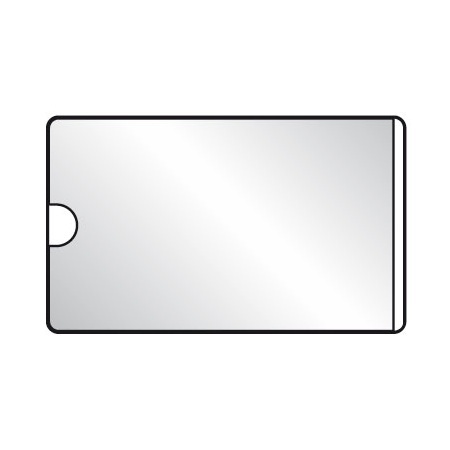 Ideal for storing and presenting business cards when attached to folder covers, files and ring binders that go out to the client.